Senate reacts to Itse Sagay’s claim that each senator earns N29m a month and N3bn per annum – Royal Times of Nigeria. Chairman of the Presidential Action Committee on Anti-Corruption (PACAC), Itse Sagay, yesterday alleged that members of the Senate collect as much as N29 million as monthly salary which is N3 billion per annum. The Senate has now released a statement reacting to his claim. In the statement which was signed by Senate spokesperson, Aliyu Sabi Abdullahi, the legislators called on President Buhari to caution Sagay who they described as a loose cannon. Abdullahi stated, “Ordinarily, we would ignore Sagay whose statements and attitude present him like a rascal and sadist instead of a former university teacher. However, his last speech in Lagos during which he was reeling out false and exaggerated figures about the salaries nod allowances of legislators and also lied about the passage of anti-corruption bills showed that he just deliberately set out to undermine the legislative institution and lower its reputation in the estimation of right thinking members of the society and we therefore believe we should put him in his rightful place. “Sagay could not even check the records before proclaiming that “the National Assembly has not passed a single bill for the promotion of anti-corruption war since it commenced business in July 2015”. First, the 8th National Assembly was inaugurated on June 9, 2015 not July. 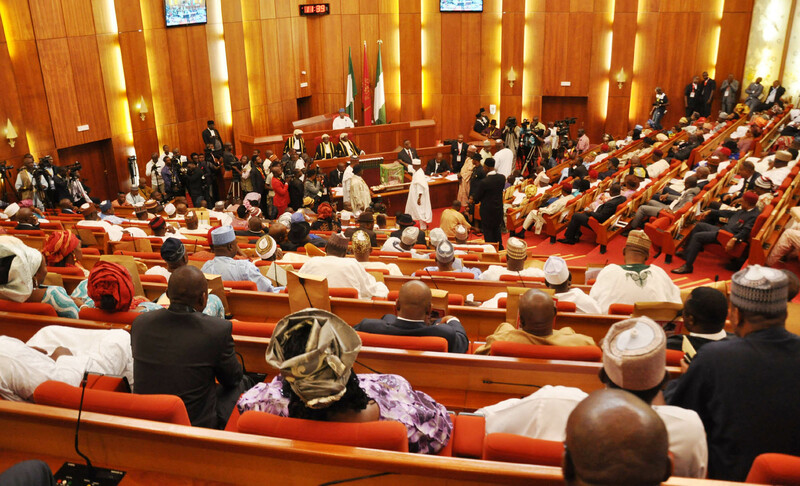 Also, it is on record that the Senate has passed the Whistle Blowers’ Protection Bill, Witness Protection Bill, Mutual Legal Assistance in Criminal Matters Bill and the Nigerian Financial Intelligence Agency Bill. ” He pontificates and talks as if the war against corruption of the Buhari administration depends solely on him to survive. He once publicly attacked the Attorney General of the Federation and accused him of not doing enough to prosecute the war. In the Lagos speech, he took a blanket swipe at the judiciary and rubbished that entire institution which he as a lawyer has the professional, ethical and constitutional duty to respect. “This is a man who cannot stand for Councilorship election and win. We challenge him to state what his contributions are in the election of our amiable President, Muhammadu Buhari and what new ideas he has contributed to making the fight against corruption more effective since his appointment. With an easily excited man like him as head of an advisory body, the nation has continued to lose anti-corruption cases in courts due to the failure of his advices. He needs to do more work and talk less because media prosecution cannot win the war on corruption”. “The Senate therefore called on the President to caution Sagay and stop him from further creating needless tension in the relationship between the executive and the legislature”.